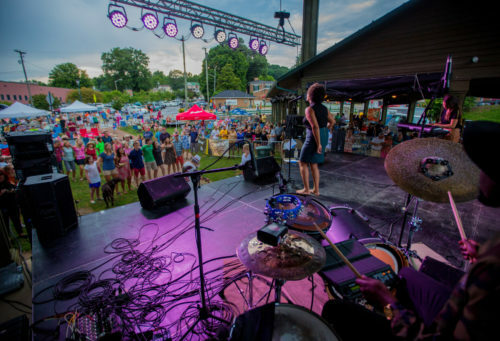 From blues to bluegrass, fiddlers to funk, Abingdon is quickly becoming a hotbed for great musicians and live music. Whether it's a casual Saturday night jam session, a fresh new band at Wolf Hills Brewery, or a Grammy-Award winning singer performing on stage at Barter Theatre, Abingdon is full of amazing live music all year round. Jam with local musicians at Heartwood every other Thursday, or catch local favorites like Annabelle's Curse at one of Abingdon's music venues. Annabelle's Curse has made a name for itself by combining strong traditional roots with a modern, innovative style. When Abingdon needed a soundtrack for its latest commercial, the band was a natural fit. 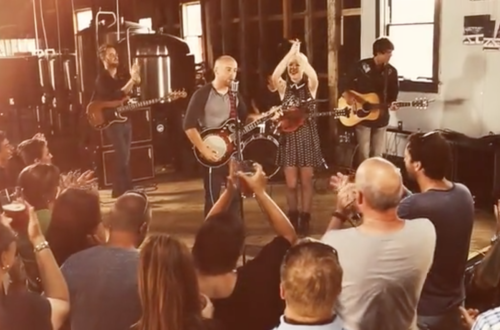 Their upbeat anthem "Regret, VA" can be heard in the video below! The Crooked Road is a 330 mile driving trail through the mountains of Southwest Virginia that visitors can enjoy every day of the year. In nearby Bristol, the Birthplace of Country Music Museum celebrates the 1927 Bristol Sessions, considered the "big bang" of country music. In Abingdon, visit Heartwood: Southwest Virginias Artisan Gateway for a glimpse of how music is woven in to the rich tapestry of tradition in Virginia. Intimate concerts with some of the best musicians in the country. See live music at Barter Theatre in Abingdon every January. Past performers include Iris Dement, Blue Sky Bluegrass, the Blind Boys of Alabama, Ricky Skaggs and Mavis Staples. Several of Abingdon's restaurants double as casual music venues. Chow down on a plate of barbecue at Bone Fire Smokehouse or sample the delectable fried catfish at JJ's Sports Bar & Grill while listening to a live band on most weekend nights. Check out our calendar of events for this week's music. Every Thursday night from May to September, the Abingdon Market Pavillion comes alive with a series of free concerts. Abingdon Main Street hosts a beer tent, and families bring blankets and lawn chairs to enjoy music under the stars. Visit AbingdonMusicExperience.com for more music events all year long.